Industrial Safety Helmets. Seamless moulded in one piece from natural reinforced fiber glass polyester resin. Heat resistant for heavy impact and scratch proof. IS: 2925 & DGMS marked and approved. Available Colors: White, Blue, Green, Red, Yellow. IS: 2925 Marked and Approved. Use For: Used For Activities And Sports Like Jockeys In Horse Racing, American Football, Ice Hockey, Cricket. 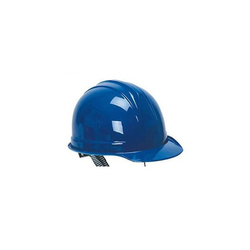 We are remarkable enterprise, involved in offering superior quality Safety Helmet. - Ratchet adjustment can be set to correct head size. Shree Sai Enterprises is one of the well known names in industrial supplier. 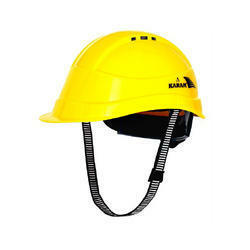 We are providing service for all kind of fire and safety Gadgets and equipment. We are leading Dealer and service provider of Helmet with Head Lamp and Rechargeable Battery.